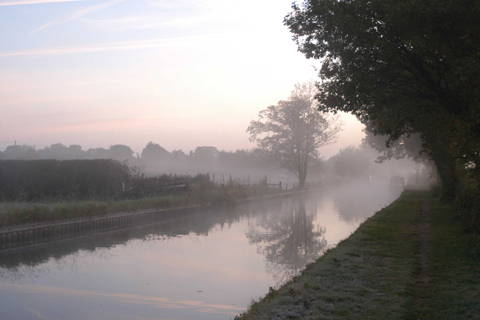 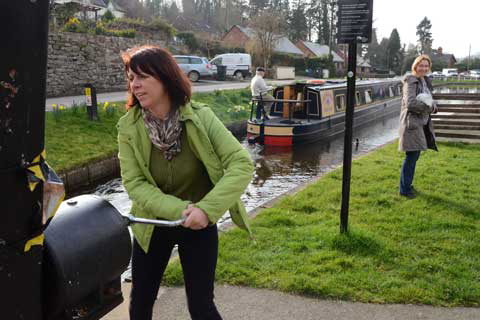 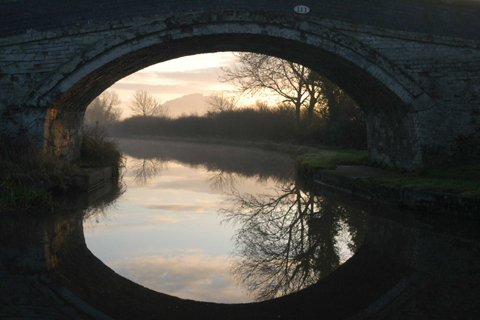 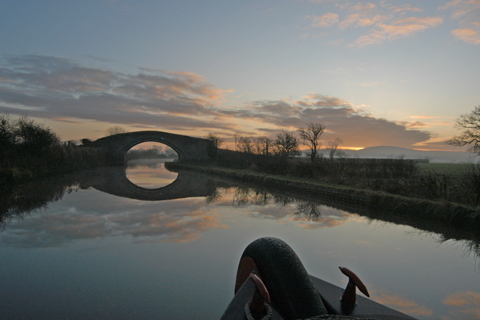 Cruise the Llangollen canal from Tattenhall to Llangollen and back 55 miles and 27 locks each way. 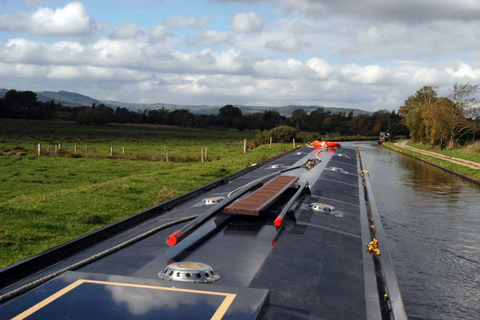 Cruising time 8 hours a day. 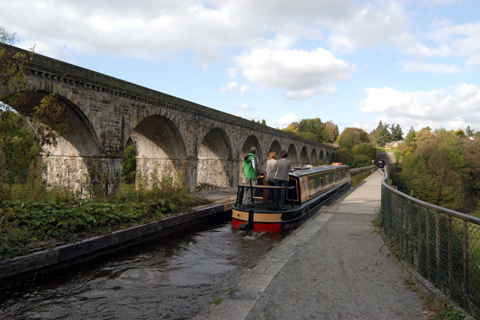 The beautiful scenery of this 46 mile canal makes the Llangollen one of the most popular and busiest canals in the country. 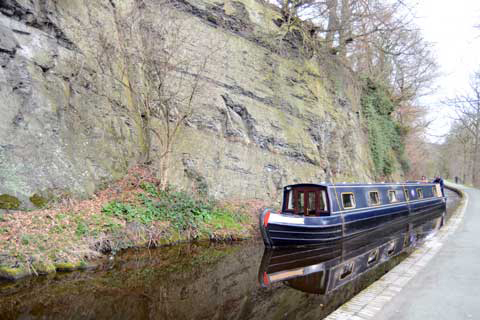 Completed in 1806 the canal was built to carry both passengers and cargo rapidly to Chester and the Mersey. 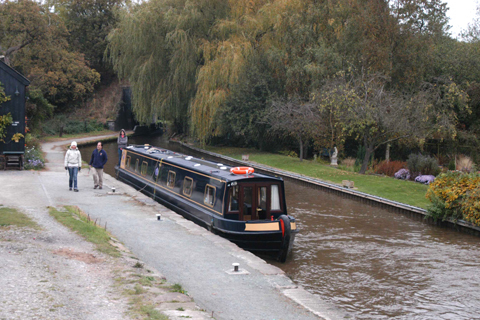 Today it carries water from the river Dee to Crewe (hence the river-like current). 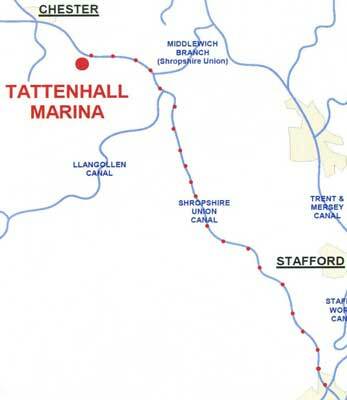 Only 5 hours from the marina, you will join the Llangollen canal at Hurleston Junction where you will climb up 34 feet via four locks and from here you will travel through the Cheshire countryside, negotiating the staircase lock at Grindley Brook, passing through the Shropshire town of Ellesmere and finally reaching the impressive mountain scenery surrounding the vale of Llangollen. 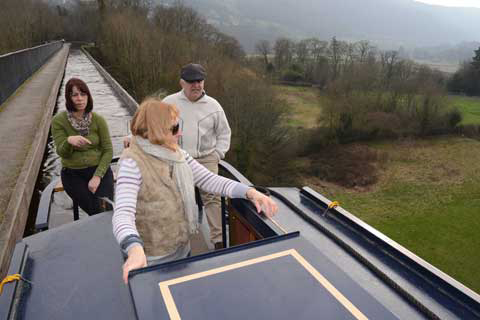 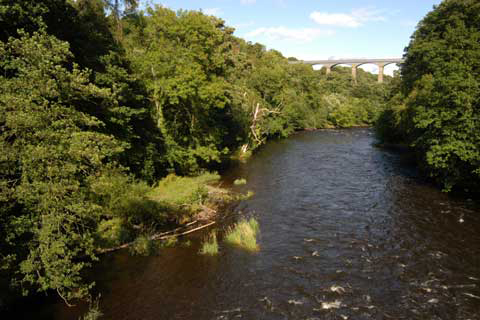 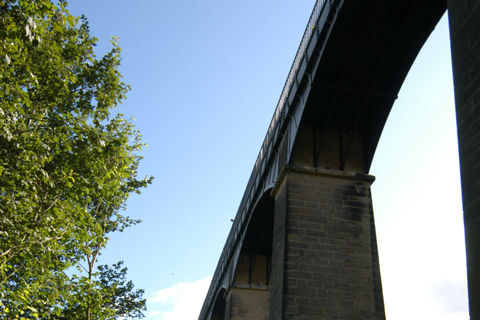 During this cruise you will cross the two aqueducts the first at Chirk followed by the famous Pontcysylite aqueduct at Trevor which crosses high above the River Dee at 127 feet at its deepest point and is over 1000 feet long. 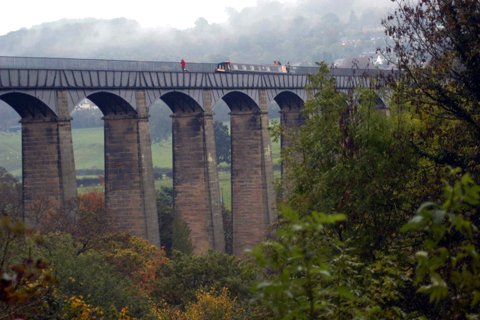 (well worth the travel to get there!) 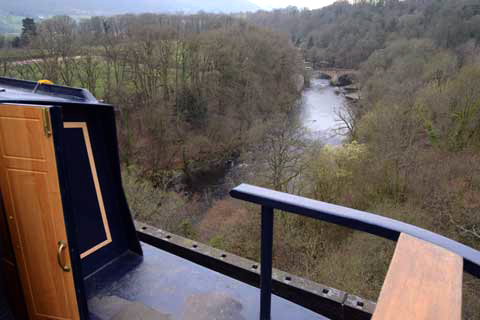 There is plenty to see and explore at Llangollen with its steam railway, ruined castle and breathtaking mountain walks. 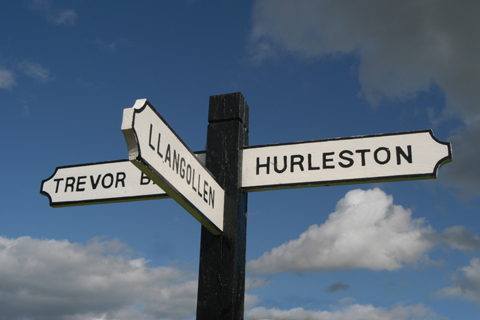 Every July visitors to Llangollen can experience the International Eisteddfod, an annual competition of music, song and dance. 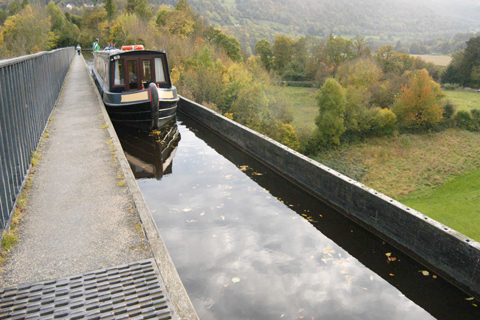 There is a small fee to moor overnight and beyond Llangollen the canal continues towards the Horseshoe Falls only navigable by the Horse drawn tourist boats. 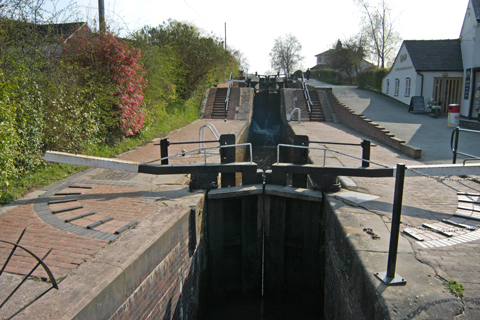 Places of interest include:- Grindley Brook-6 closely spaced locks, 3 forming a staircase. 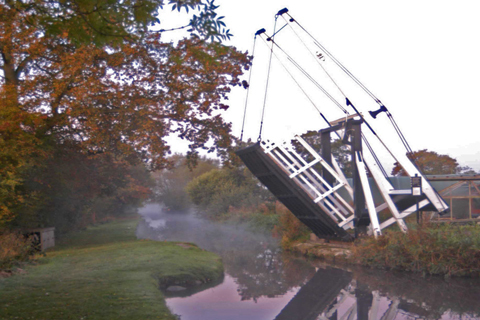 Manned by lock-keepers March to October. 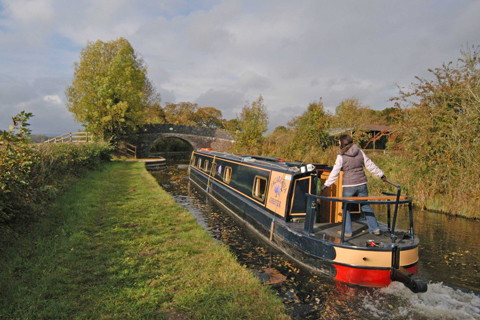 Replenish your supplies at the lock side stores. 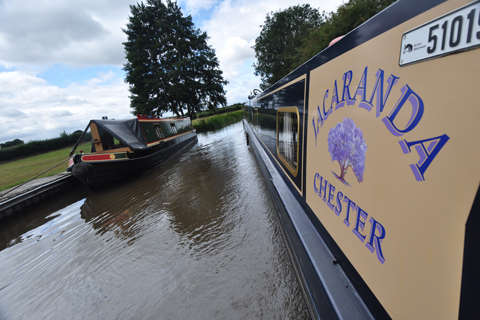 Ellesmere – un spoilt market town surrounded by 9 small lakes (meres) and woodland walks. 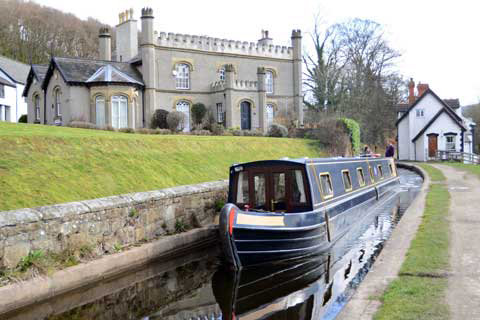 Chirk- shops & castle (1310) owned by the National Trust. 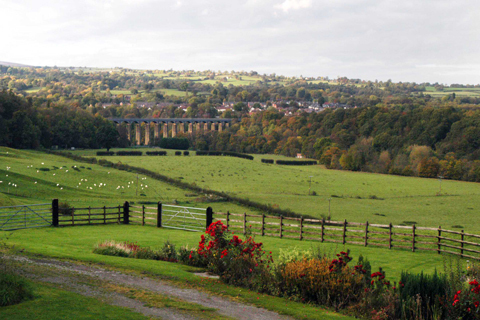 Llangollen- walks, scenery, busy tourist town.